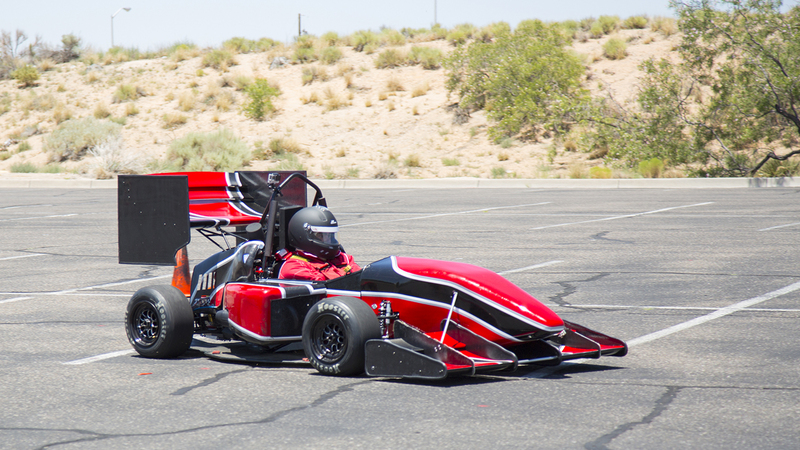 As members of a small but well-established program, The University of New Mexico’s Formula Society of Automotive Engineers (FSAE) team members always know it’s a bit of an uphill battle competing against some of the largest and best-financed programs in the world. But if adversity does indeed make you stronger, UNM’s team is made of steel and ready to take on the world. The team will show their mettle June 20-23 at the Formula SAE competition in Lincoln, Neb.